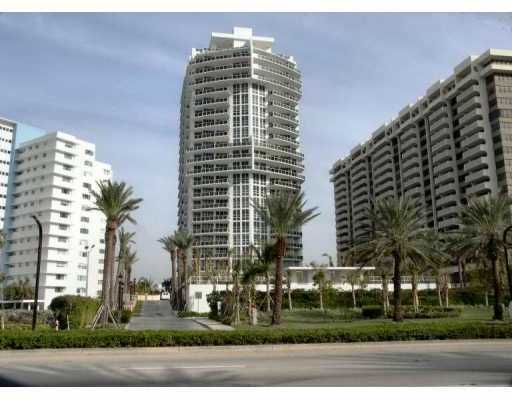 Cohen-Freeman-Encinosa and Martin Z. Margulies are the creative brains behind Bellini, one of the Aventura condos for sale that's actually found on the island of Williams Island. Since it occupies the remaining parcel of residential space, Bellini could be the last condominium to grace the Williams Island skyline. At 24 stories it's just the right height to capture the many sights throughout the city including the cerulean waterfront. Inside Bellini you'll find three and four bedroom units available with 2,235 to 4,600 square feet of living area. You'll notice that each of these units are considered corner units with their own private elevator access. You'll also find residential features like wraparound balconies, ten and twelve foot ceilings and kitchen cabinetry designed in a European style. There is a lot to do near Bellini since Williams Island itself is packed with amenities in addition to all there is to do in Aventura itself. You could for example go shopping near Bellini at Aventura Mall or you may want to spend a day at the beaches in the city of Sunny Isles Beach to the south of Bellini. Miami Beach, Bal Harbour, Hollywood in Broward County, all of these places are packed with things to do near your Bellini home.